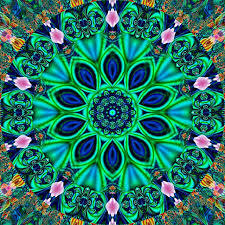 When I was about eight I was given a kaleidoscope for my birthday and it was my prize possession. It was quite my favourite toy. I loved looking at the wonderful shapes and patterns it made just by shaking it, and I remember taking it to bed with me so that my sister couldn't borrow it. 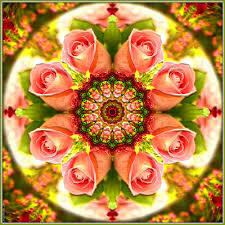 Kaleidoscopes were invented in 1816 by a Scot, Sir David Brewster. An inventor, he was studying many aspects of physical sciences, including polarization optics and the properties of light. He named the new invention after the Greek words meaning: beautiful form watcher. He discovered that attractive and pretty symmetrical patterns were made when loose pieces of glass and other objects were reflected by mirrors, in a tube-like instrument which resembles a telescope. Following its invention, the kaleidoscope grew in popularity in Western Europe and became a favourite toy for children, but also an entertainment for adults taking part in parlour games, one of them being charades. setting it loose in murky waters.